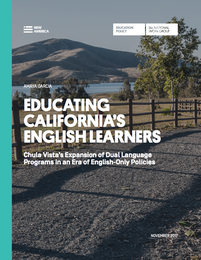 In 1997, California became a focal point of debates around EL education through the “English for the Children” campaign spearheaded by Silicon Valley millionaire Ron Unz. The campaign sought to frame bilingual education as an ineffective instructional method that denied children the opportunity to learn English. In reality, the campaign was a response to the changing demographics of the state. The campaign led to Proposition 227, a 1998 ballot initiative asking voters to eliminate bilingual instruction in favor of English-only approaches. Specifically, ELs were to be immersed in English for one year to help them attain proficiency in the language. California voters approved the measure by a wide margin, with 61 percent approving and 39 percent opposing. Over the next decade, bilingual education was eroded through sharp declines in programs and in bilingually certified teachers. But, just as the state was moving away from bilingual education, one school district in Southern California was taking a decidedly different approach. The same year that Proposition 227 passed, Chula Vista Elementary School District (CVESD), located just south of San Diego, opened the first Spanish-English dual language immersion (DLI) charter school in the district: Chula Vista Learning Community Charter (CVLCC) School. Charter schools, which are public schools that operate independently from the majority of regulations and laws that govern school districts, were first recognized in California legislation in 1992. 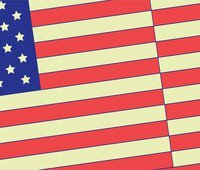 According to a 2004 EdSource report, charter schools’ independence was seen as a lever for improving student achievement, promoting innovation, and increasing professional opportunities for teachers. At the time CVLCC was established, the state had just increased the cap on the number of charters allowed and eliminated the 10 charter school limit within a district. These laws helped to facilitate the creation of CVLCC at a time of strong anti-bilingual education sentiment. The charter school represented a starting point for the district. Today the Chula Vista Elementary School District has Spanish-English dual language immersion programs in 21 of its 48 schools, enrolling over 4,400 students. A full 36 percent of students in the district are ELs, 91 percent of whom come from homes where Spanish is the primary language. Nearly 20 percent of the district’s ELs are enrolled a DLI program. This means many ELs are gaining access to instruction that supports the continued development of their home language and English, which research suggests can promote enhanced academic achievement, facilitate English language proficiency, and sustain valuable cultural and familial connections. With the 2016 passage of Proposition 58, which minimized portions of the state’s English-only law and allows districts more flexibility to implement bilingual education programs for all students, California is poised for a resurgence of bilingual education. However, developing and implementing these programs will not be easy. The state is facing a critical shortage of bilingual educators. As Learning Policy Institute researchers Desiree Carver-Thomas and Linda Darling-Hammond explain in a 2017 fact sheet, after Proposition 227, California saw a reduction in the number of bilingual teacher preparation programs and the number of bilingual authorizations. There are currently only 30 institutions of higher education in the state (out of 80) that offer bilingual teacher preparation programs and in 2015–16 only 700 bilingual authorizations were granted, down from a peak of 1,800 in 1994–95. In a recent survey of 111 districts and charter schools conducted by the advocacy organization Californians Together and the Association of California School Administrators, 53 percent of all respondents reported a shortage of bilingual educators. Chula Vista has not yet felt the strain of the bilingual teacher shortage. This is partly due to its location. Jeffrey Thiel, assistant superintendent of human resources for CVESD, said graduates of local teacher preparation programs prefer to stay and work in Southern California. The district also has strong relationships with local universities, including San Diego State University (SDSU), that have created direct teacher pipelines into their dual language programs via student teaching. “SDSU wants to send their teachers here. If we can get them as student teachers it’s easier to hire them,” Thiel explained. As districts move towards creating new bilingual programs, such as dual language immersion models that split instruction between English and a partner language, they should look to existing programs within their state for lessons on design and implementation. Chula Vista provides a good example of how to scale up dual language immersion programs by paying attention to community input, how to partner with local higher education to gain well-prepared bilingual educators, and how to prepare all teachers to facilitate ELs’ language development.